Varun Dhawan says the critical and commercial success of his films gave him the confidence to take risks. The actor, who has now teamed up with director Shoojit Sircar for his upcoming film "October", says he does not discriminate between genres. "Success gives you more confidence, only if something works then people want you to come back to it again. I never see it as an art or commercial film, for me it's either a good film or bad," Varun says in an interview with PTI. The actor says after doing "Judwaa 2", Sircar's film came as a big challenge for him. "The kind of film that Shoojit makes, challenges every actor. I had great time working with him. It is a very special film and it is close to my heart. "The way the film comes across... It has a very strong message." A Rising Sun Films' production, the slice-of-life love story is written by Shoojit's frequent collaborator Juhi Chaturvedi. Newbie Banita Sandhu has been cast opposite Varun in the movie, which is set to release on April 13. 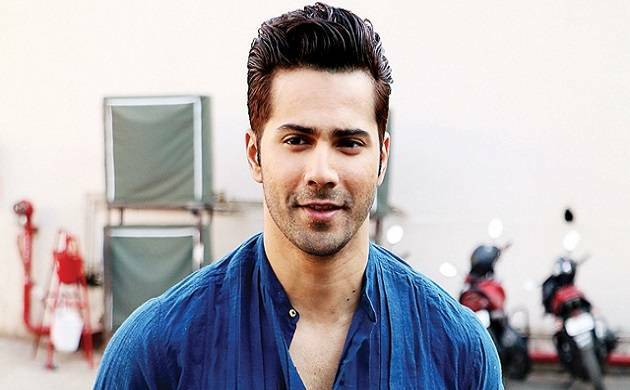 Varun, 30, is also excited to bring on-screen the message of 'Make in India' through his forthcoming film "Sui Dhaaga". Talking about the movie Varun says "As in a way it is about Made in India, ‘Make in India’ something which Mahatma Gandhi ji always spoke about. "He said the world has enough space for every man's need but it doesn't have enough space for every man's greed. I believe in these lines. That is interesting." Varun has an interesting line up of films like ‘ABCD 3’ with Remo D'Souza and "Shiddat" with producer Karan Johar. According to him, there is some time for these projects to go on floors except ‘Sui Dhaaga’ which will start production next year. "It is too early to talk about 'ABCD 3'. I feel the underground dance scene is unexplored here (in India)... We might explore that (in the film)’’. "I am busy shooting for 'October' at the moment", he says.